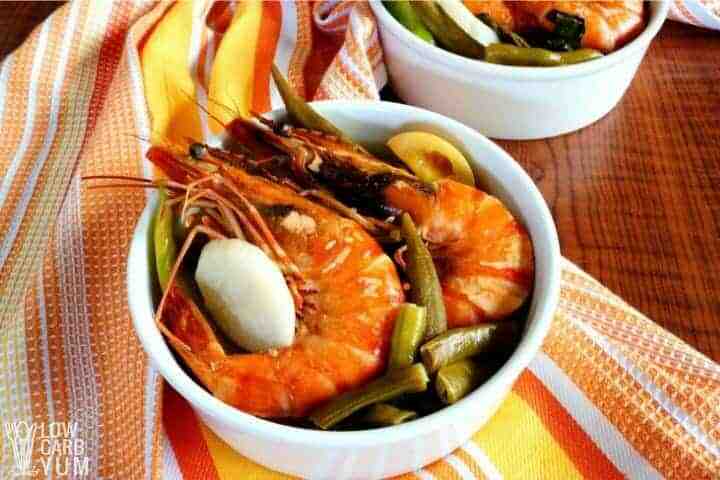 Sinigang Na Hipon is a classic Filipino dish. The popular sour soup features shrimp and vegetables in a base of tamarind broth. 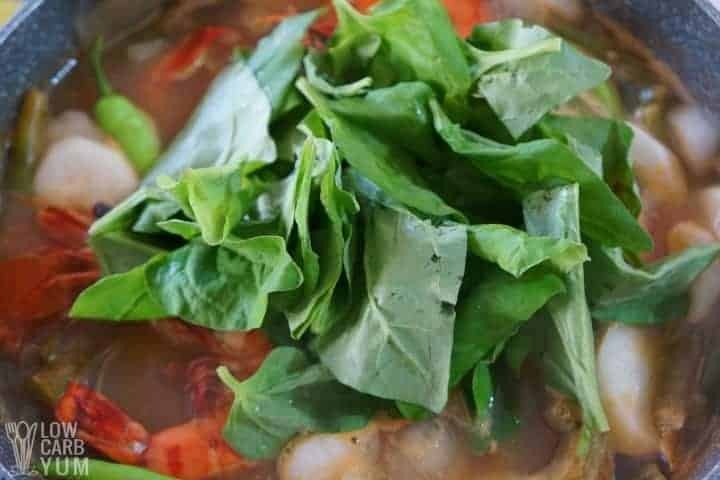 Na Hipon is just one of several versions of tamarind broth soup known as Sinigang (pronounced ‘see-Nee-Gangh’). Sinigang is typically made with either pork (usually ribs), beef, chicken, shrimp, or fish. And it’s almost as popular as chicken adobo. In general, most authentic Filipino food can be pretty unhealthy. It tends to be greasy and the recipes call for a lot of fatty meats. That being said, there are plenty of healthy options, like this shrimp soup made with tamarind! 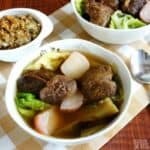 This particular Sinigang recipe starts with a base of tamarind soup mix which provides the sour taste. Tamarind is a pod-like fruit, natively grown on trees in tropical regions of Africa. These days, it also grows in tropical areas of Mexico, the Caribbean, and Asia. Sweet yet tart in flavor, with a pleasant floral aroma, the sticky pulp of tamarind pods is very potent. As a result, a little goes a long way; you won’t need much to make the broth for Filipino sour soup. In addition to its tasty, sweet and sour flavor, tamarind provides a lot of health benefits! 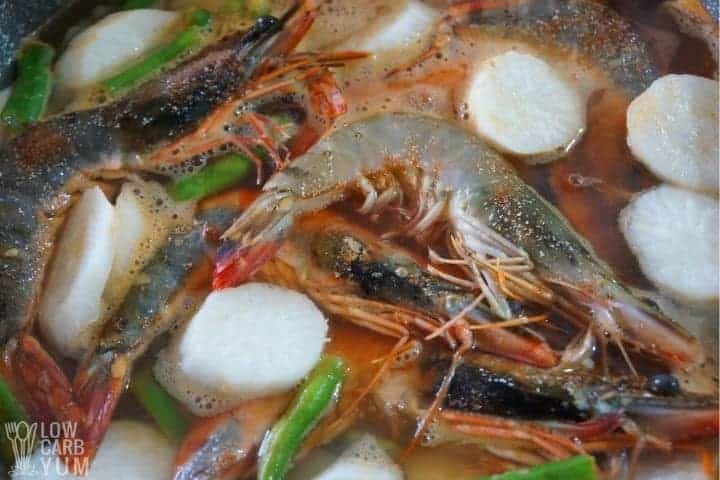 When you shop for the shrimp to make Sinigang Na Hipon, keep in mind that you will want several large shrimp for each serving. Look for shrimp with the shells, tails, and heads still intact. As a result, the soup broth will have a lot more flavor. Essentially, those shells combine with water to create flavorful shrimp stock. 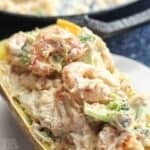 Depending on where you live, you may not be able to find large unpeeled fresh shrimp, and that’s okay! Many Asian food markets sell it, but if you can’t find any, just use frozen unpeeled shrimp instead. Also, it is unlikely that you will be able to find frozen shrimp with the heads intact. If that is the case, don’t worry; the soup will still be delicious. In general, most soups are freezer-friendly. The only concern with freezing Sinigang shrimp soup is the seafood. After you cook shrimp, it can be difficult to reheat them without overcooking them. If you want to freeze the soup, my suggestion is to remove any cooked shrimp first. Just freeze the broth and vegetables, then add fresh shrimp into the pot as you are reheating the soup. Or, you can freeze the cooked shrimp separately, as explained below. You can freeze soup in one of two ways; by the batch, or in individual portions. 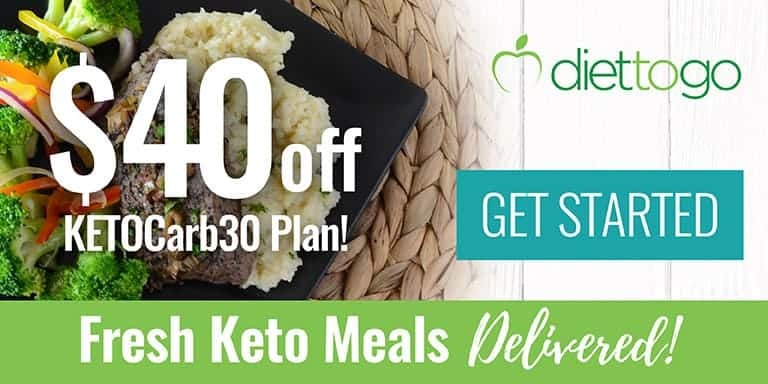 Freezing individual portions is a great idea, especially if you like to prepare lunches ahead of time. Cool the soup to room temperature first. Avoid the temptation to transfer warm soup into freezable plastic bags or freezable storage containers. This is because, if the soup isn’t completely cool, condensation will form inside the container. As a result, it is likely to cause freezer burn to form on the soup. As mentioned earlier, it can be easy to overcook shrimp during the reheating process. So, either leave the shrimp out entirely or freeze the cooked shrimp separately from the rest of the soup. The night before you want to serve the soup, place the container(s) in a refrigerator to thaw. If you freeze cooked shrimp, allow them to thaw overnight as well. Then, simply add thawed shrimp to the soup as it reheats on the stove. It will only need a minute or two to reheat. I like to add it a couple of minutes before the soup is finished re-heating; just long enough to warm it through. Reheat on a stove top if possible. It is possible to reheat Sinigang in a microwave, but it’s better to reheat it slowly over medium heat on the stove. 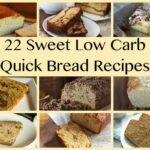 if you choose to microwave it, do so in small servings rather than heating an entire batch at one time. 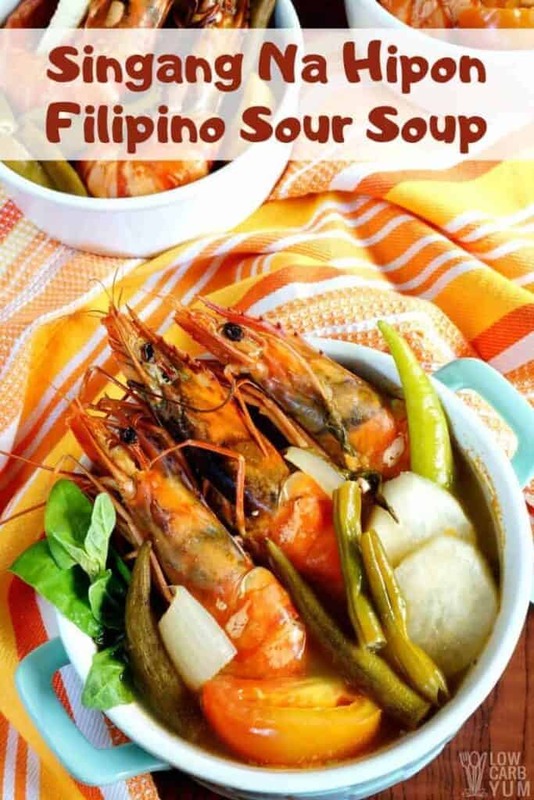 This shrimp soup is delicious on its own, but when Filippino cooks make it, they often serve it with or over a bed of white rice. 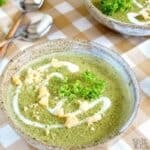 Obviously, that isn’t an option if you want this to be a low carb, keto-friendly soup. 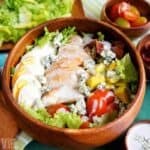 If you’d like to see more recipes for Filipino foods, let me know which ones in the comment section below. This easy shrimp soup recipe is low carb, gluten-free, and delicious! 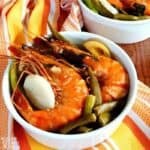 It features whole shrimp in a tamarind broth. Properly wash shrimps with cold running water. Pat dry. Opt to season with salt. 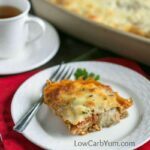 In a casserole or deep large pan, add ¼ cup water, tomatoes and onions. Sauté until onions are translucent. Add the remaining water and bring to a boil. 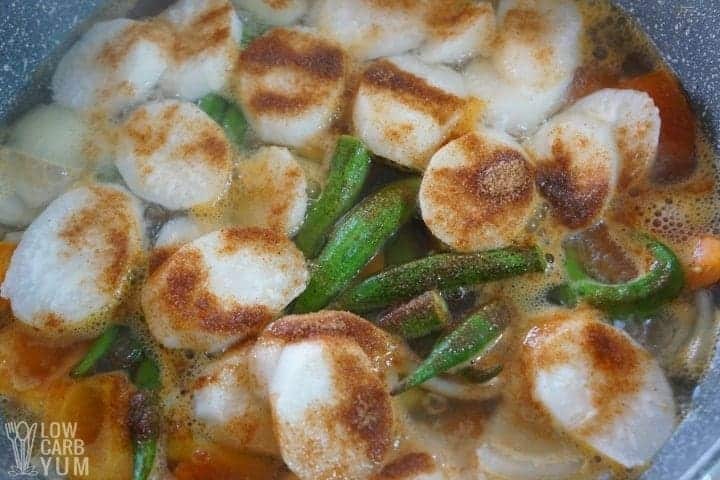 Once water has boiled, slowly add Okra, radish, green beans and sprinkle tamarind soup mix. 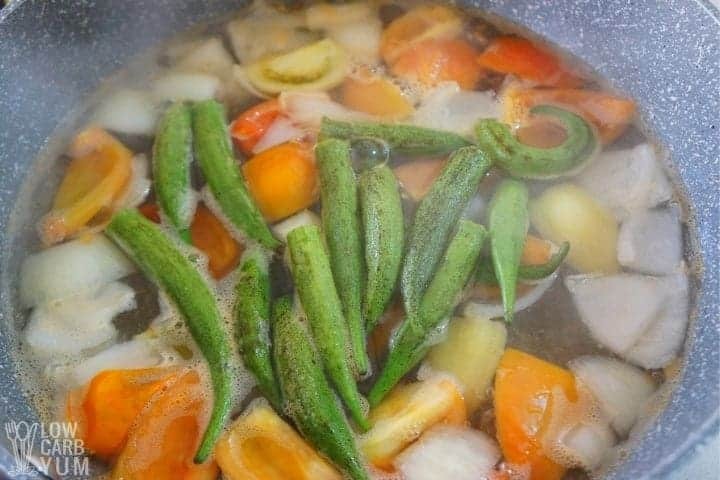 Continue to boil for 5 to 7 minutes or until vegetables start to soften. Add the shrimps to the boiling broth, make sure they are all submerged in broth. Cover and boil for 5 to 8 minutes or until each shrimp turned golden orange in color. Do not overcook shrimps. Turn off heat and add spinach. Cover. 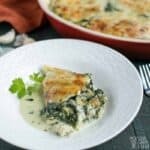 Allow spinach to wilt before serving. Properly wash shrimps with cold running water. Pat dry. Opt to season with salt. – Some would season shrimps with salt, I don’t. 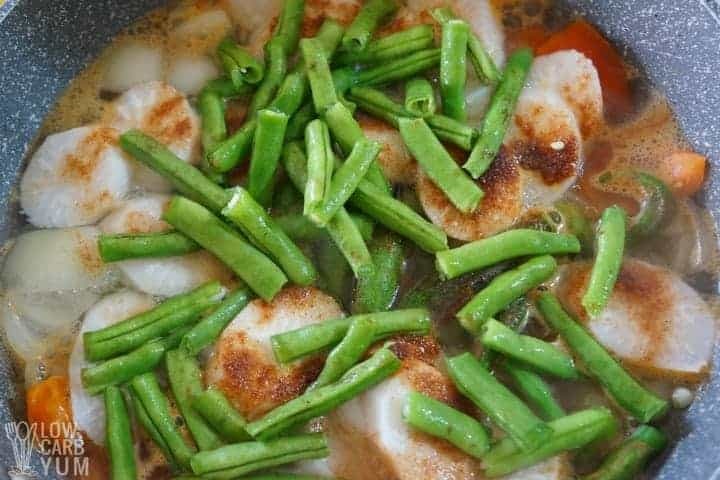 Once water has boiled, slowly add Okra, radish, green beans and continue to boil for 5 to 7 minutes. Add the shrimp, make sure they are all submerged in broth. Cover and boil for 5 to 8 minutes or until each shrimp turned golden orange in color. – Some heads of shrimps are black – they are cooked but the hepatopancreas differs in color when raw and cooked due to their diet (based on what I read). I used an 11-inch deep pan and had to transfer the vegetables to another container while batch boiling the shrimps to make sure they are cooked properly. Filipinos love to pair sinigang with lots of white rice. 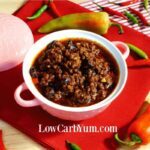 Fish Sauce (to taste) – only added 1 Tablespoon. 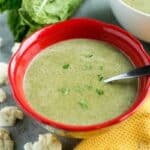 There is a small amount of sugar in the soup mix, but the amount of carbs in a serving shouldn’t be enough to impact. 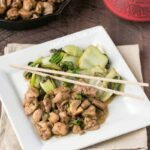 A tamarind paste and additional seasonings can be used instead. Im not a fan of okra. Can i leave it out? Of course! Feel free to use another vegetable you like or simply omit the okra.